All HIDDEN VALLEY ESTATE homes currently listed for sale in Sandy as of 04/24/2019 are shown below. You can change the search criteria at any time by pressing the 'Change Search' button below. "Incredible home that backs the 4th and 5th green of the Hidden Valley Country Club! Homes rarely become available in this neighborhood! 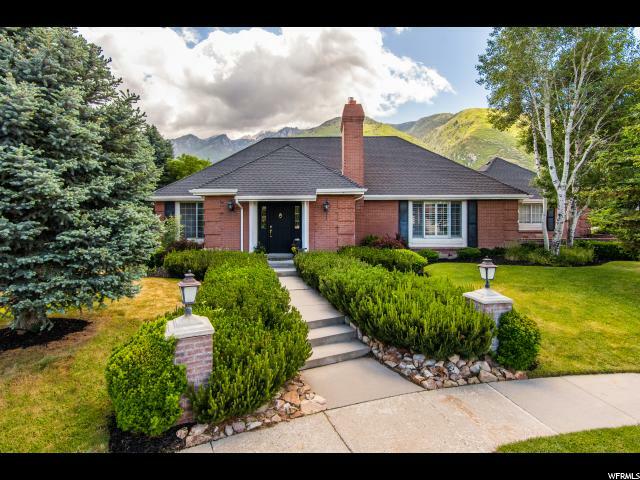 This home features a large main floor with wood floors, granite countertops in the kitchen and baths, main floor master suite with master bath. Den with French doors opens to an expansive living room with a gas fireplace. Upstairs loft has its own bathroom and gorgeous views of the mountains and golf course. Downstairs mother in law has a beautiful kitchen with granite countertops, 3 bedrooms a bath and large living room with a gas fireplace. You do not want to miss out on this home! It is amazing! 24 hour notice for showings would be appreciated."